ORANJESTAD, Aruba, Feb. 23, 2015 - The Aruba Tourism Authority (ATA) reported total arrivals in 2014 increased by 9.5 percent, as compared to the same period in 2013. This global growth included a 3.7 percent increase in arrivals from the U.S. market, 26.8 percent increase from the South American market and a 4.1 percent increase by the European market. With 1.07 million stay-over visitors overall in 2014, Aruba made history—as the previous record for annual stay-over visitors in Aruba was 9,79,256 in 2013, followed by 903,934 in 2012. CHAPEL HILL, N.C.--(BUSINESS WIRE)--The Divi Vacation Club has launched, and this new points-based club offers members access to premier destinations in the Caribbean and worldwide travel opportunities. The Divi Vacation Club began enrolling members in January. 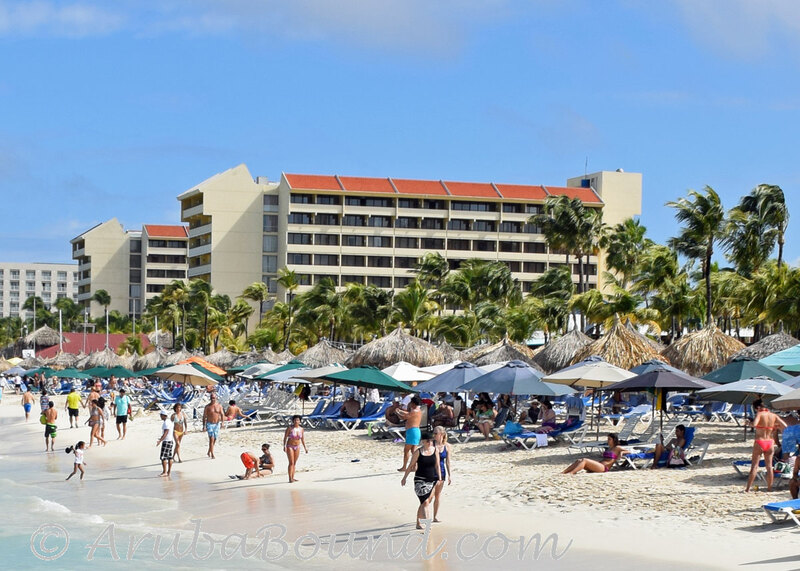 The featured Caribbean properties include Divi Aruba Phoenix Beach Resort, Divi Village Golf & Beach Resort and Divi Dutch Village Beach Resort on Aruba; Divi Southwinds Beach Resort on Barbados; Divi Flamingo Beach Resort & Casino on Bonaire and Divi Little Bay Beach Resort on St. Maarten. These resorts, known as Divi Club Destinations, feature a range of vacation experiences, from modern high-rise hotels, to intimate beachside settings, to top dive resorts. In addition to the Divi Club Destinations, members can vacation in more than 80 countries through the Divi Exchange Network, which partners with Interval International® to access hundreds of resorts around the world. “The Divi Vacation Club offers more travel flexibility than traditional vacation ownership, allowing club members to travel where they want, when they want and how they want, based on the amount of points they wish to spend,” says Marco Galaverna, president of Divi Management Group. “With Pure Points, the currency used to book vacations, our members only spend the points they need depending on the season, resort, accommodation size and length of stay.” The Divi Vacation Club also helps members save money on their travel, insuring that their yearly vacation costs will remain stable and affordable for years to come. The new club’s website (www.divivacationclub.com) also premiered in January, outlining club program details as well as providing access for current members to explore destinations, make reservations, research points balances and make payments. For more information on Divi Vacation Club membership, visit www.divivacationclub.com or call a sales center on Aruba: 1-800-257-4943/1-919-883-4699 or on St. Maarten: 1-877-349-0560/1-919-338-2750. January 16th, 2015- We welcomed the new beach policy with great enthusiasm, because before we had nothing. And I immediately read it with interest but it is very general and can be interpreted a million ways. Nevertheless, finally our number #1 asset is governed by a policy, and I have many questions. I am mostly bothered by the pirates who rent chairs and umbrellas and I hope they will have to reapply for their permits and that their petitions will be handled cautiously, and approved for only a limited number of chairs and a limited number of umbrellas based on merit, not nepotism. They can’t all be the minister’s relatives. Many of the nickel and dime hoteliers who charge extra for beach lounges and palapas can be thanked for that private enterprise proliferation. They created an opportunity for the freelancers, who were encouraged by rebelling guests, to rent for less than the hotel was charging, hence the of colorful stuff on the beach. The eternal question remains, who will enforce and supervise? ?